Anthony Joshua is making frantic efforts to ensure his next fight against a New Zealand fighter is a success. Great Britain’s Anthony Joshua, the current holder of the IBF, WBA and IBO belts, will meet the Kiwi fighter in a unification bout in Cardiff at the end of March. 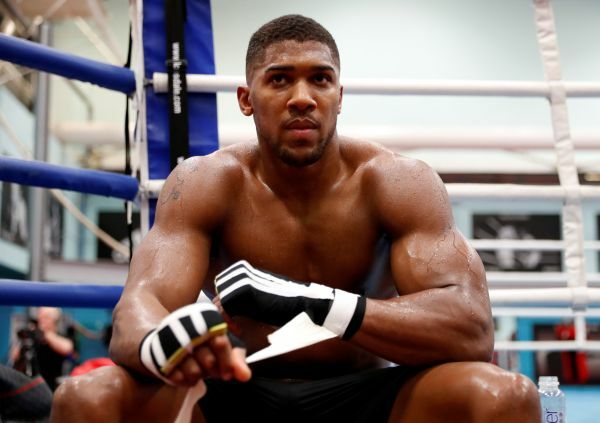 The video clip, posted on the Instagram site of Joshua’s trainer Jamie Reynolds, shows the impressively-muscled fighter going through a series of power, speed, agility and fitness exercises. A member of Joshua’s team posted images on his Instagram account on Thursday (Friday NZT) revealing that the 28-year-old had been tested three times in five days and twice consecutively as preparations for his showdown with Parker at Cardiff’s Principality Stadium. The social media posts showing Joshua being tested come after WBO champion Parker controversially labelled the big Brit “the king of steroids” before their first meeting at a press conference in London last month. Parker swiftly retracted the unfounded accusation and issued an apology for the low blow, which came after he was dubbed the ‘king of pies” by Graham Norton as the British TV host discussed the Kiwi’s physique with Joshua when he was a guest on his chat show.